When it comes to anything granite for your home Extreme Granite in Troy, MI is where you want to go. 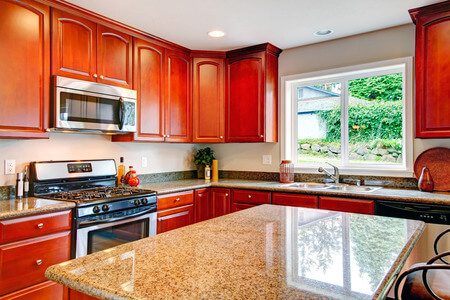 Frankly, there is no better company than Extreme Granite to purchase your granite from. Located in beautiful Troy, MI, Extreme Granite has been in the business of satisfying its Troy residence for more than 15 years now. And because your satisfaction is our aim, we have built a reputation of quality products, precision fabrication and expert installation that has made us an industry leader where stone products are concerned. 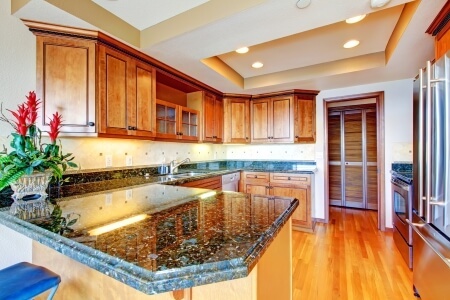 Your home is your most treasured possession and you want the best granite you can buy to remodel you home’s interior. Well, the best granite you can purchase is located in our 2200 square foot Troy, MI showroom. Brothers Stavier and Pierre Jargo have a passion for the best products. The granite stones they offer to buyers in Troy come from India, Italy, and Brazil just to name a few countries. It will make you very proud to know that the best granite is available to homeowners looking for granite to cover their countertops in the bathroom and kitchen. 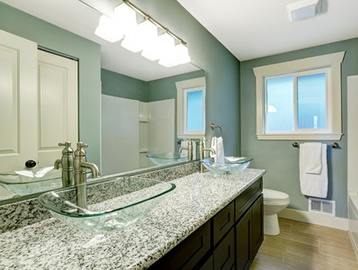 In the bathroom, the counter where the basins are will look brand new and give the sink a fresh and elegant look. That tub will get a new tub surround and the shower will get the best facelift ever. When it comes to the kitchen, which is the hub of many of our Troy customers, it will be transformed into the only gathering place, as Extreme Granite will install new countertops where stools can be pulled up to it and the family can be served breakfast and lunch. Then, too, there’s a new place for the kids to do homework in the house while you prepare the meals. 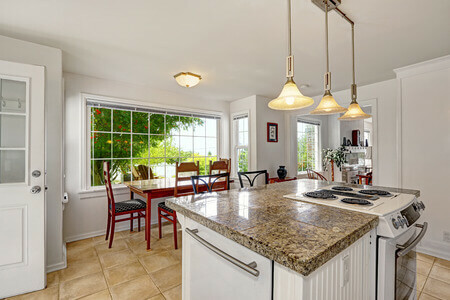 When company comes by, you can showcase your beautiful countertops from Extreme Granite and let them know that it was the best stress free and seamless home remodel you’ve ever experienced. 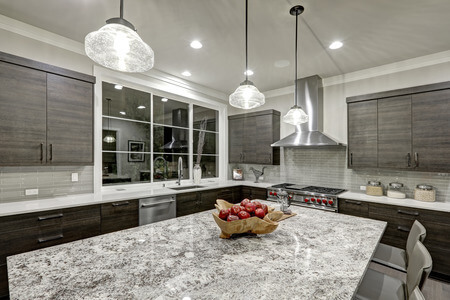 You will be able to tell friends and family that there is a granite company in Troy, MI that takes all the hassle out of installing new countertops. So, just call us today for a free in-home estimate for your house. 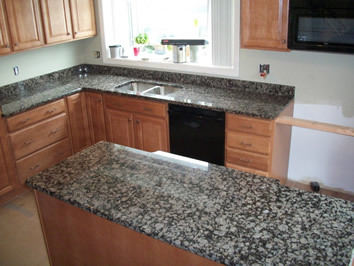 You choose the granite you want along with our knowledgeable design team, and we’ll take it from there. We are certain that residents of Troy, MI and surrounding areas will come back to Extreme Granite for other stone product solutions. We can do it all. Extreme Granite will also enlighten you as to the benefits of granite in your home and for your kitchen, bath, and other stone projects. Visit our showroom in Troy and see why Extreme Granite can do it all.